Activated nuts - a tasty, healthy, feel-good snack with high nutritional value. Nuts were always one of Michaela's favourite snacks, but eating them often made her feel heavy and sluggish. When she tried activated nuts she was fascinated by how delicious they were, and after finding out about their health benefits knew this was her new favourite healthy snack. 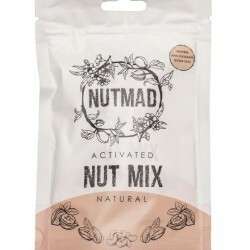 The idea for Nutmad was born after Michaela spent years mastering activated nuts at home as snacks for family and friends. 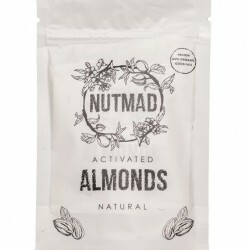 Nutmad's activated nuts are soaked in filtered water and dried for hours, with the aim to make them tastier, more digestible and their good nutrients more available. They use only simple, natural ingredients to add a subtle flavour, resulting in a snack that tastes great and keeps hunger at bay.